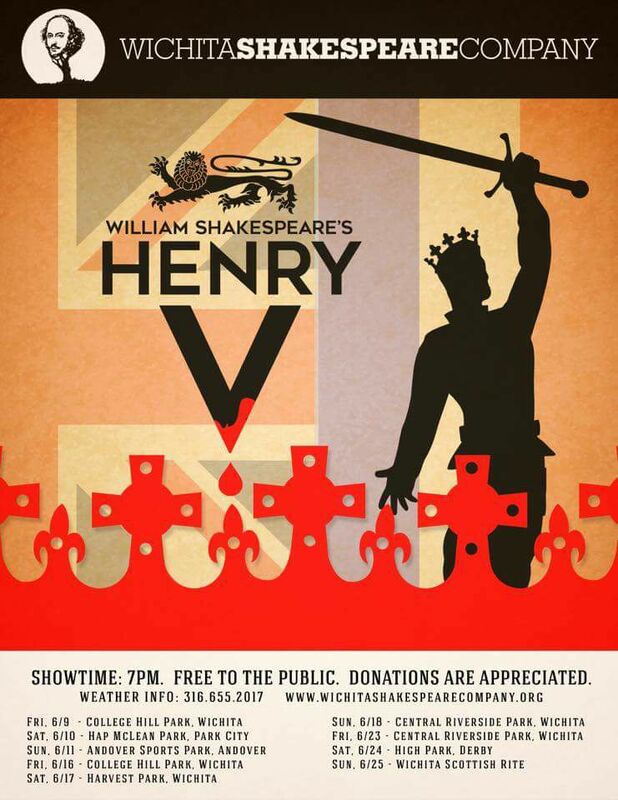 Henry V: The Fields of France Now in a Wichita Park Near You! Don’t miss this action packed show! All performances begin at 7pm.